Twenty-five University of North Georgia students ushered around high school students during the Professional Association of Georgia Educators/Future Georgia Educators in October on UNG's Gainesville Campus. University of North Georgia (UNG) junior Macey Jarrard said when she was little girl she wanted to be a physical therapist. 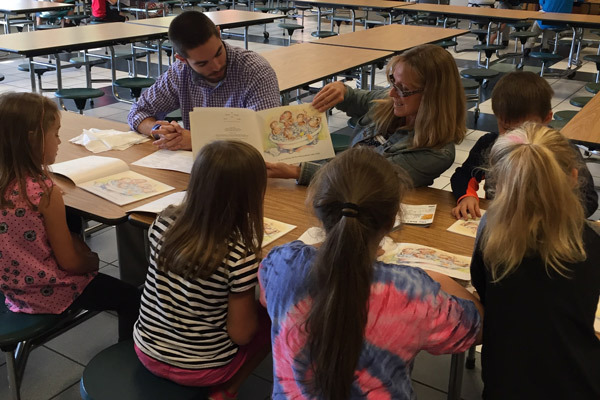 But her mother, a high school principal and UNG alumna, thought differently. "She had been pushing me to major in education," Jarrard said, who selected physical therapy instead. All that changed when the 20-year-old Gainesville, Georgia, woman substitute taught at Sardis Elementary School in Hall County during her winter break from college. "I fell in love with the kids," Jarrard said. "I liked how full of life they were. They were so eager to learn what I taught." Jarrard changed her major to education and transferred to UNG from Georgia College and State University in Milledgeville, Georgia. 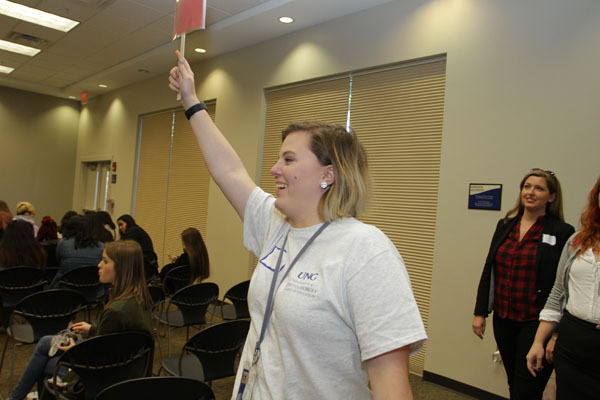 So, she was surprised when she was selected along with 24 other UNG education majors to be student ambassadors for the teacher education program in the College of Education. "I was excited and felt honored because I just transferred to UNG," she said. Cindy Sherrill, director of clinical engagement and community partnerships for teacher education, explained the students were chosen by coordinators and peers to assist with numerous College of Education Teacher Education events, such as the Professional Association of Georgia Educators/Future Georgia Educators event in October on UNG’s Gainesville Campus. "We chose the top students from all of the programs," Sherrill said. "We trained them how to represent UNG." At the Professional Association of Georgia Educators/Future Georgia Educators, the student teacher ambassadors acted as liaisons between high school students, who were interested in majoring in education, and the 17 universities touting their education programs. 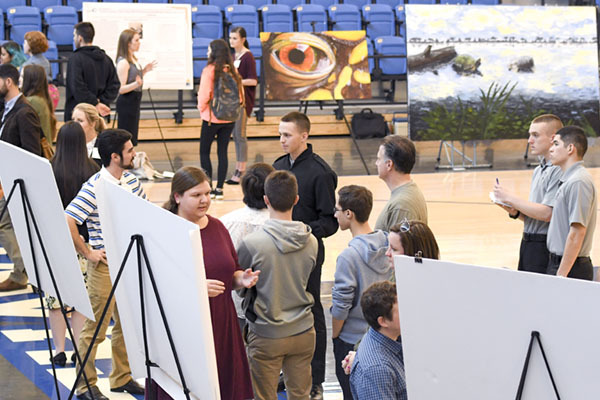 "It can be intimidating to talk to colleges as a high school student," Jarrard said. "So it was nice to know the high school students had someone on their side." The student teacher ambassadors also accompanied the high school students on a campus tour and answered questions ranging from being an education major to enrolling in college. University of North Georgia (UNG) student-teacher ambassadors accompanied high school students on a tour of UNG's Gainesville Campus, acted as a liaison between them and other universities touting their own educations programs, and answered questions about majoring in education and being college students. But the student ambassadors' welcome to the Gainesville Campus stuck in Tracy Mooney's mind. "To start off with, when we got there, they had this huge welcome for us," she said. "It was really cool that we were greeted and taken directly to where we needed to go." Mooney, an educator at North Forsyth High School, said the student ambassadors pointed out key places such as the locations of the bathrooms. They immediately supplied the bus driver with parking and event information. "It was very beneficial," she said. 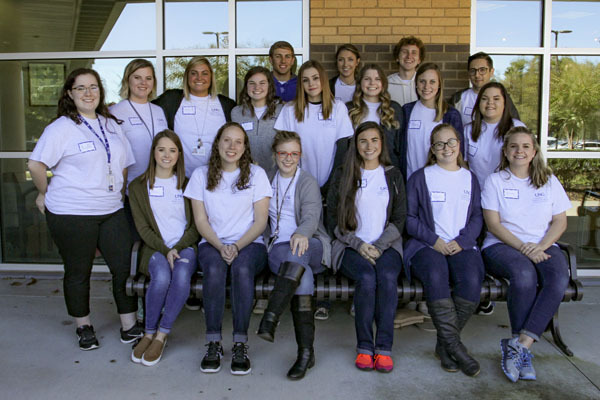 Mooney, who instructs the Teaching as a Profession pathway at North Forsyth, brought 20 students to the event to expose them to different colleges with teacher education programs. "It gave them insight into all the different schools and programs," she said, adding some of her students had not seen an active college campus. "Here they could see students playing outside. It's not all studying." Jarrard said sharing her experience about being a college student was her favorite part. "I like the relationships we built," she said. "And maybe I inspired one of them to become a teacher." Sherrill said she was proud of all of the student ambassadors. "They were amazing," she said. "They did a fabulous job. They talked with high school students and got them motivated about being teachers."